Such a cool and futuristic combo!! LOVE your shoes and jacket! 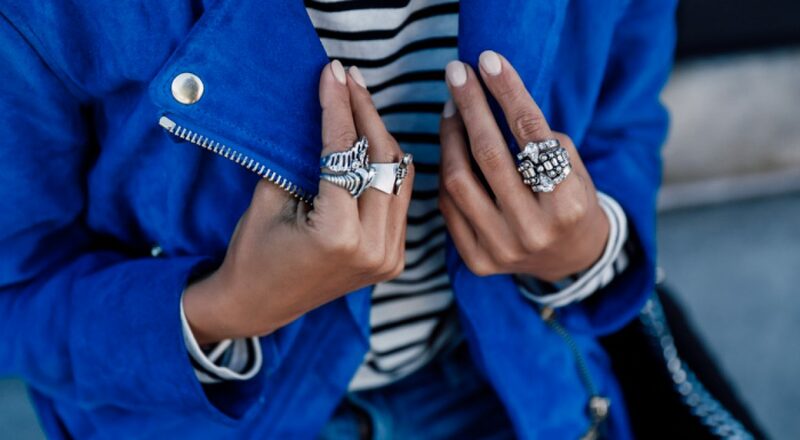 Your blue biker jacket is simply perfect! Love the blues! Amazing look. Such a bold look. LOVE cobalt on you. It's such a universal color. I love this jacket. It is such a statement piece and the color pair beaufully with denim jeans. The blue is so striking and beautiful on you! That jacket is amazing! In love with the colour! Very lovely! Always love your detail shots. I love the jacket and you look really nice! 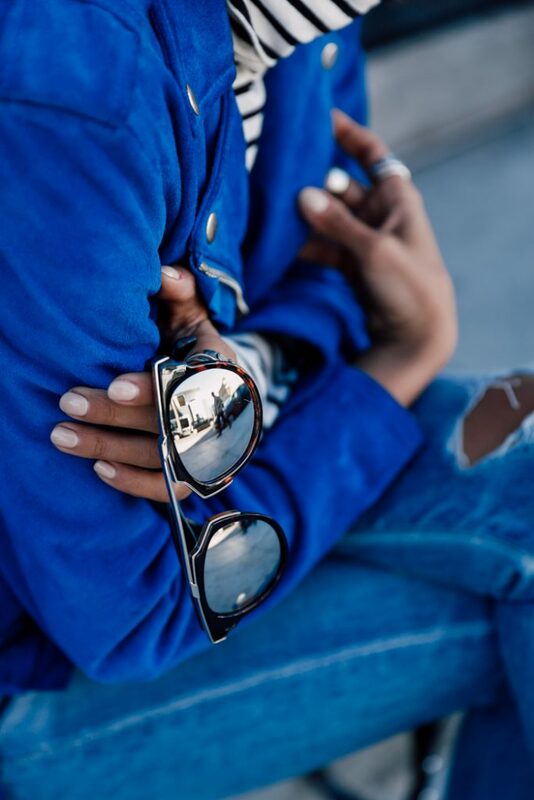 Loving that jacket and those sunglasses! Great way to combine that jacket! I am obsessed with your outfit from head to toe. I didn't realize Club Monaco made items over $500. Whoa. That jacket is gorgeous but I can't believe it's $1600!! I'm loving the blue jacket! Beautiful! Love how strong, and yet strking the outfit is-must be the blue and silver loafers! ahahha WEll done. Love the blue biker and the silver shoes are so cool!! 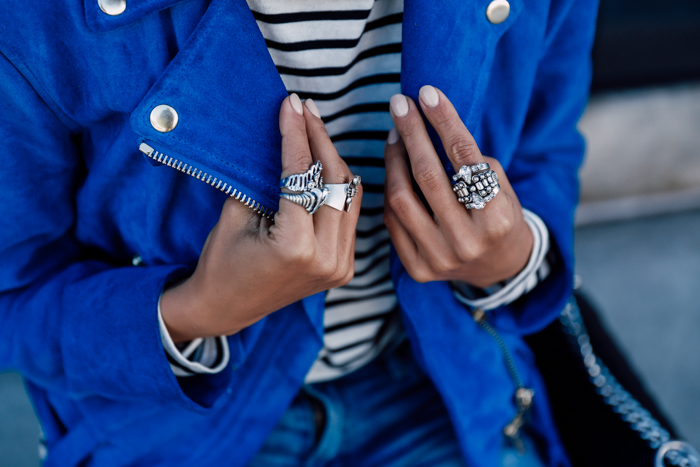 Absolute love the vibrant blue biker jacket!!! Looks great on you. Gorgeous outfit, that jacket is gorgeoussss!! I LOVE the colour so much! Very cool look love the outfit. Love it! Never thought to try it! Pretty mixture of blue and metallics! Amzing klein jacket, we love the silver touch! as usual, this is such a great and interesting look. I actually really love that you wore light colored jeans with this! Such a fierce and show-stopping jacket! Love how you paired it with the metallic loafers! 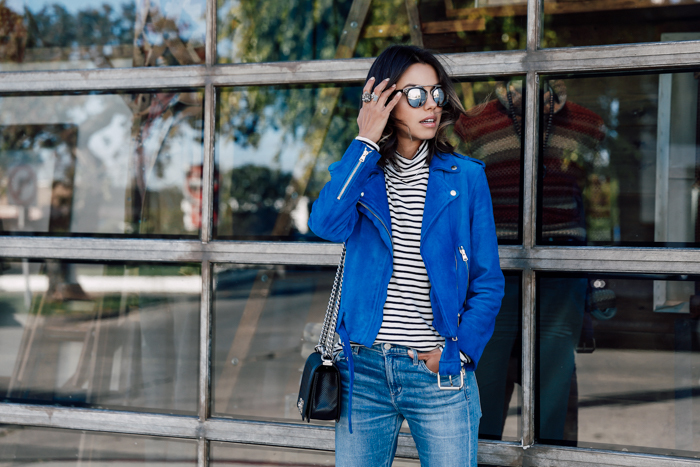 That blue jacket is dreamy! Love the combo with the striped top! Love the shades, jacket and the bag. Nice post .. 🙂 Thanks for Sharing this post.!! Useful Designer Ethnic Stylish Collection..
Love the mixture of the cobalt color and silver! I do think that the pieces from Deific Jewelry here http://www.deificjewelry.com will complement outfits like this. Very stylish!